If you are a security consultant, information security officer, security engineer, security architect, incident responder, computer forensics expert, penetration tester, security analyst, security software developer, security auditor or in general some Jedi equivalent of a security guru – then take part in the event. Come and learn what to expect from Cyber Security and how it can be important for your Business Strategy and protecting your Data. Gain an insight on the emerging frameworks and strategies, vulnerability issues, best practices design, securing systems, future applications, artificial intelligence, IDT security and many more. The conference invites Businesses of all sizes, IT enthusiasts and individuals who simply what to learn more about Cyber Security. 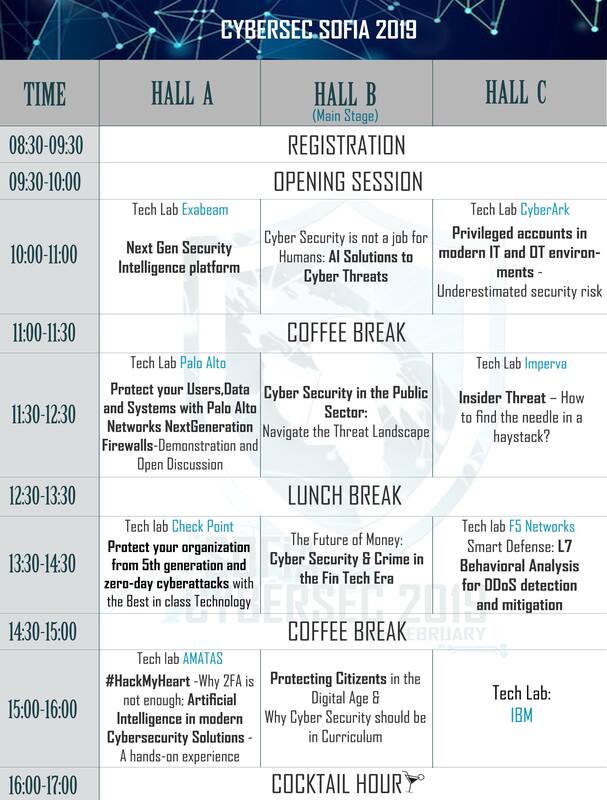 Apart from the Expert Speakers sharing their knowledge and insight on the industry, CyberSec will provide a great networking opportunity by connecting cybersecurity services and solutions, IT experts, business dwners, managers, consultants, entrepreneurs etc. Sofia CyberSec 2019 is organized by the Digital National Alliance, the portal Economic.bg and Economy magazine. 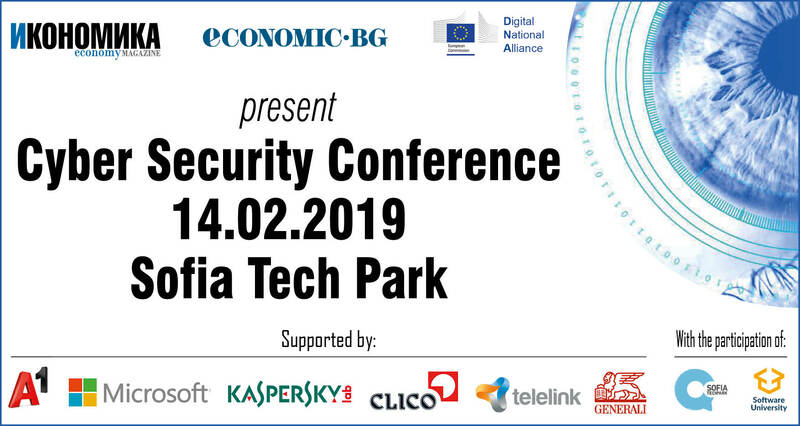 The event will take place on February 14th at "John Atanasov" Hall of Sofia Tech Park, which is partner of the conference.